As part of the Surbiton Food Festival 2015, 2nd – 17th of May, Naturally Chinese is proud to invite you to take part in the festivities. We are honoured the Mayor, Councillor Ken Smith, and Mayoress Mrs Madeleine Smith are attending to support this worthy cause. We are selling raffle tickets throughout the food festival, with lots of great prizes donated by local businesses. 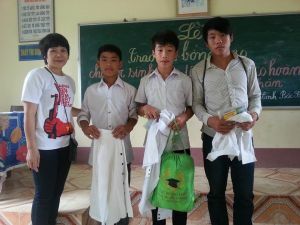 This event’s aim is to gather enough money to help alleviate the daily struggles of insufficient food, housing facilities and giving proper clothing to little children in the poor communes of the northern districts of Vietnam. We ask you to make a pledge of £20 in your name at the Naturally Chinese Charity dinner where a free two course dinner awaits you in the midst of the ever popular annual Surbiton food festival. All proceeds from the event will go to help families living in poverty in Vietnam.